Illamasqua is definitely the FleshTone Holy Grail favourite foundation for 2016. For those not yet acquainted with this art-deco British label, the wild colour palettes and broad range of quality products are phenomenal. The foundation we love best is Rich Liquid foundation. You need only a small amount for what Illamasqua refers to as ‘tattoo coverage’. This is a full coverage foundation and the range of FleshTone options is quite decent. For something a bit lighter, the Skin Base foundation is super blendable. It gives you that effortless perfect FleshTone complexion and provides natural buildable coverage. 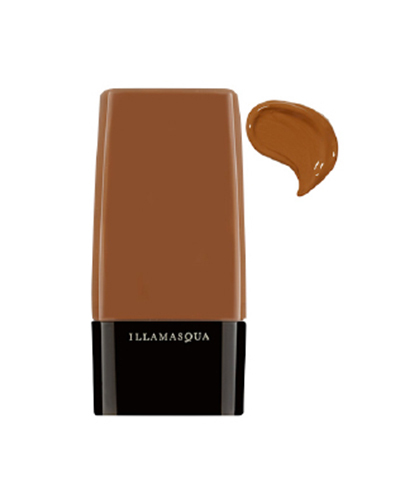 We do recommend setting Illamasqua foundations with a powder. Prices for foundation start from $40USD. I had to stop by a leave a review for this life-changing foundation! I’m a make-up artist and I have not found a product that provides the coverage of this while still being feather light. I love it!